Using an immersion blender or food processor, blend together onion, shallot, ginger, garlic, and jalapeno. Heat oil in a dutch oven, and saute onion mixture for 5-7 minutes, then add spices and cook another 3-4. Stir frequently. Add the chopped vegetables and lima beans, cover everything with approximately 3.5 cups water (or enough to nearly cover). Bring to a boil, then reduce heat to medium or medium -low. 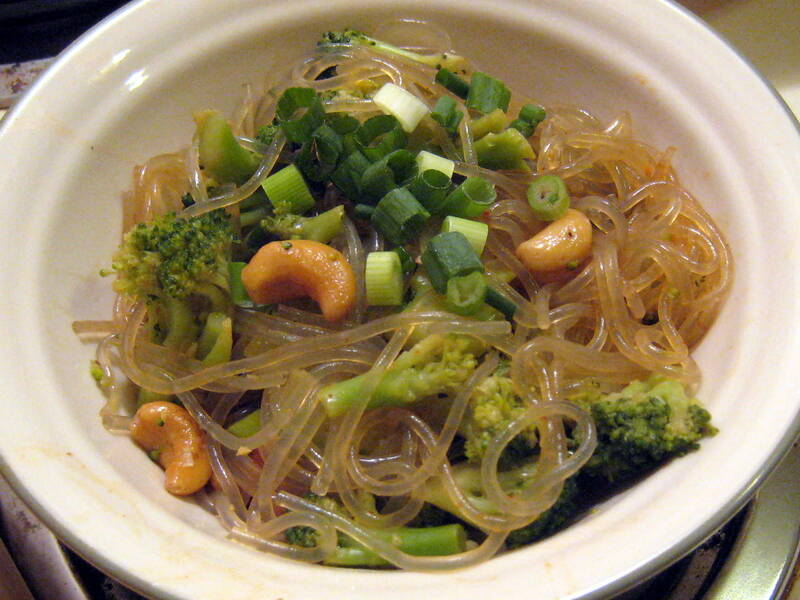 Cook partially covered 30 minutes, or until all vegetables are tender. 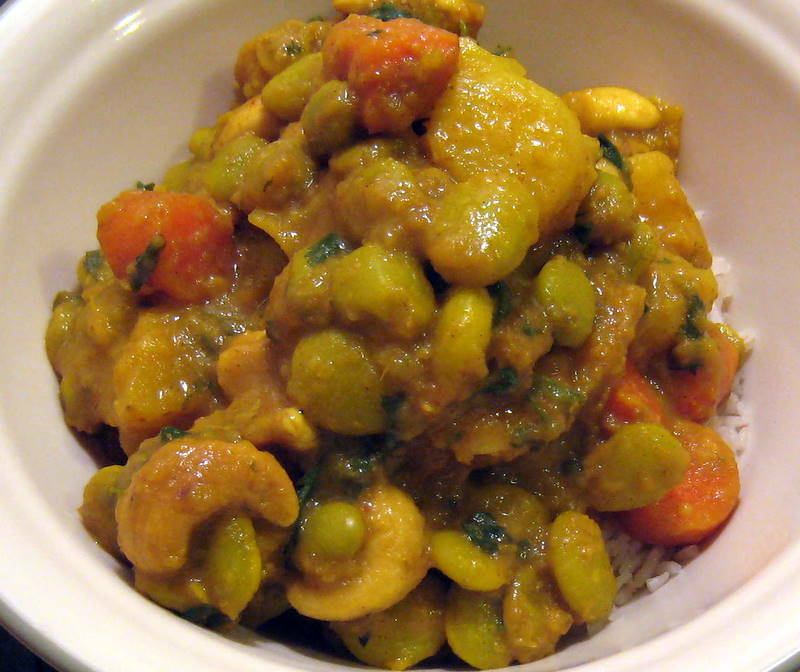 While the korma simmers, toast the cashews in a small pan on medium heat. Set aside with chopped cilantro. Cook uncovered for an additional 5 minutes, until the sauce has thickened, adding in the cashews and cilantro. Then turn the heat to low and stir in the coconut yogurt. Season with additional salt if needed. 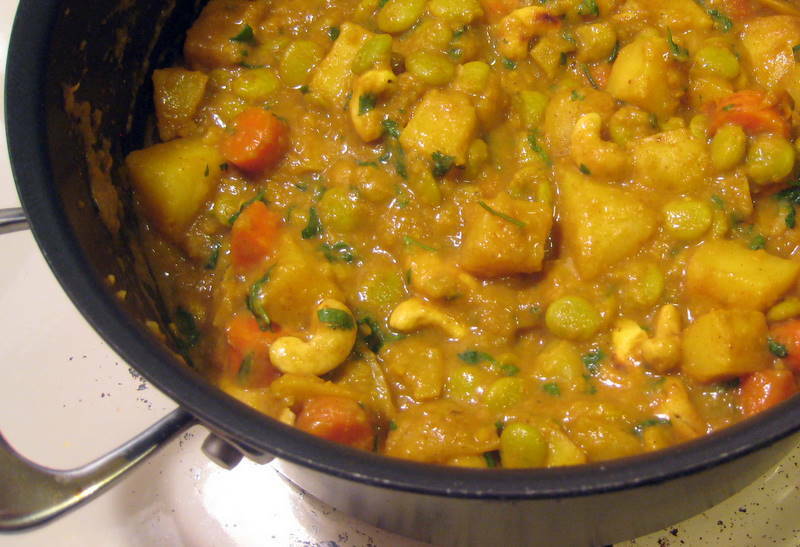 Serve with coconut ginger rice! Adapted from the Kitchenist via Nigel Slater. No butter, no yogurt, no chicken. It will knock your socks off, I swear. Slice one block of tempeh into thin strips, then cut into bite sized pieces. Then blend: 1/4 diced tomatoes, 1 TBL garlic, 1 TBL ginger, 2 TBL Earth Balance, 3/4 cup rice milk, 2 TBL curry, 1 tsp coriander, and 2 TBL lemon juice, 1/2 tsp salt. 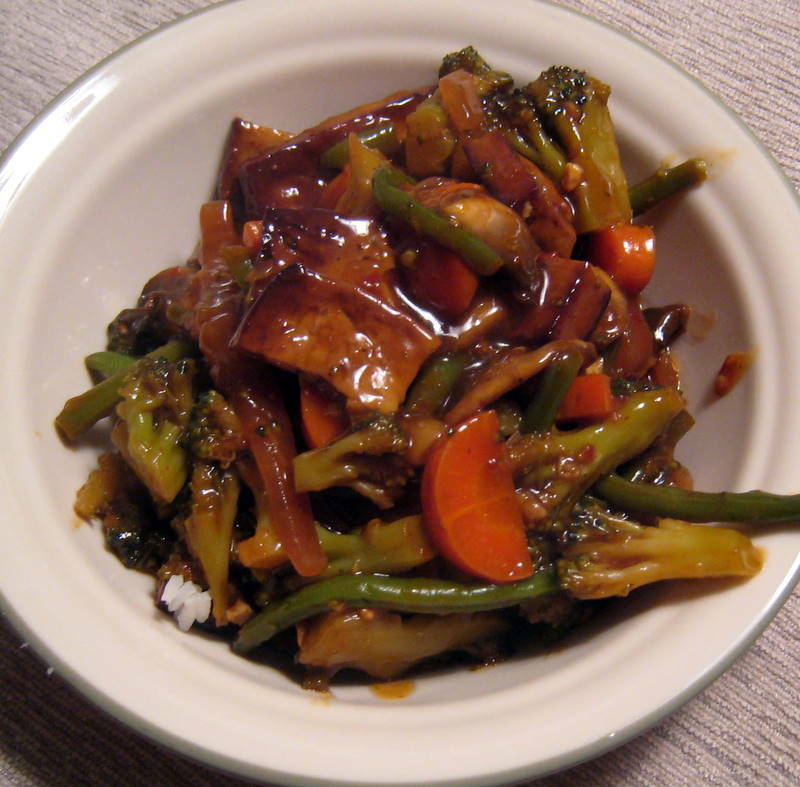 Marinate the tempeh in the sauce for 30 minutes. Cook 1.5 cups rice with 3/4 cup lima beans. For the sauce, blend together 1 cup diced tomatoes, 1 TBL garlic, 1 TBL ginger, 1/4 cup cashews until smooth. Set aside. Heat 1 tsp Earth Balance in a large pan. 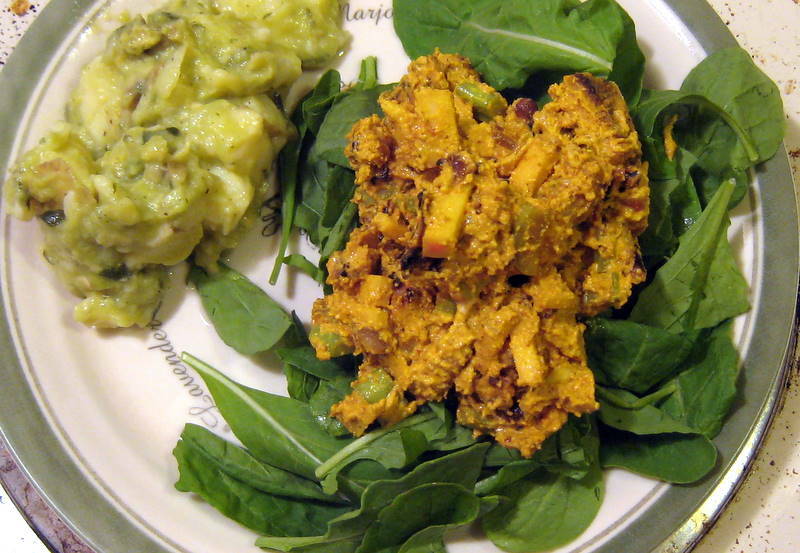 Add tempeh with the marinade and 1 sliced jalapeno, cook until tempeh is tender and the sauce is mostly absorbed. Add 1 tsp fenugreek seeds, 1 TBL curry, 1/2 TBL garam masala, 1/2 TBL cayenne. Then add reserved sauce. Cook covered on medium heat for 10 minutes, stirring occasionally. Add 1/2 cup chopped fresh cilantro. And cook another 1o minutes. Taste for seasoning, add salt and pepper if needed. 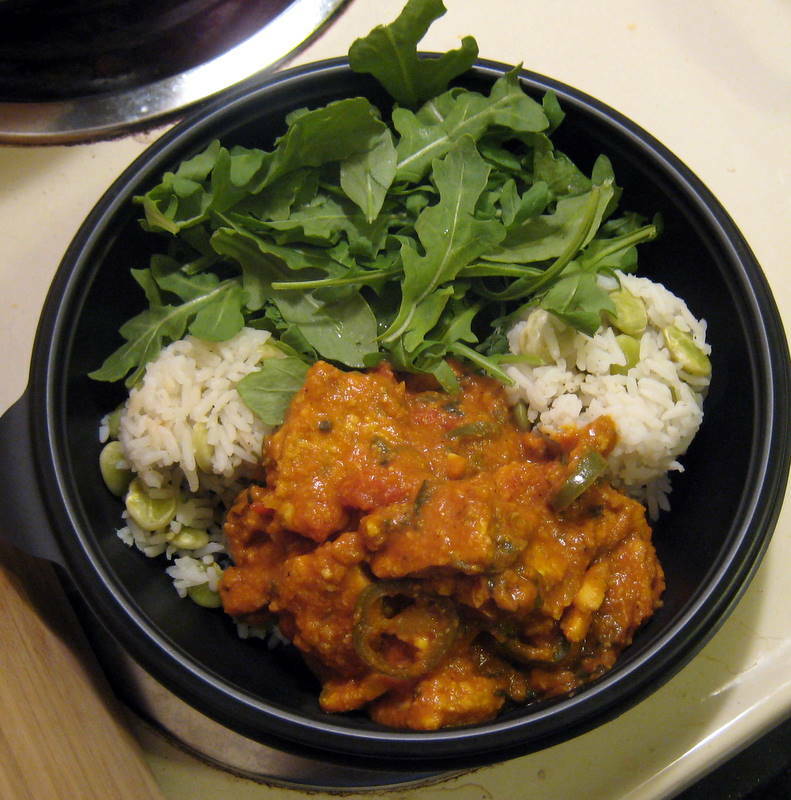 Serving suggestion: 1/2 cup rice with limas, with 1 cup curry, and 1 cup fresh arugula. First: soak 1/2 cup raw cashews in 1 cup cold water for at least 1 hour. 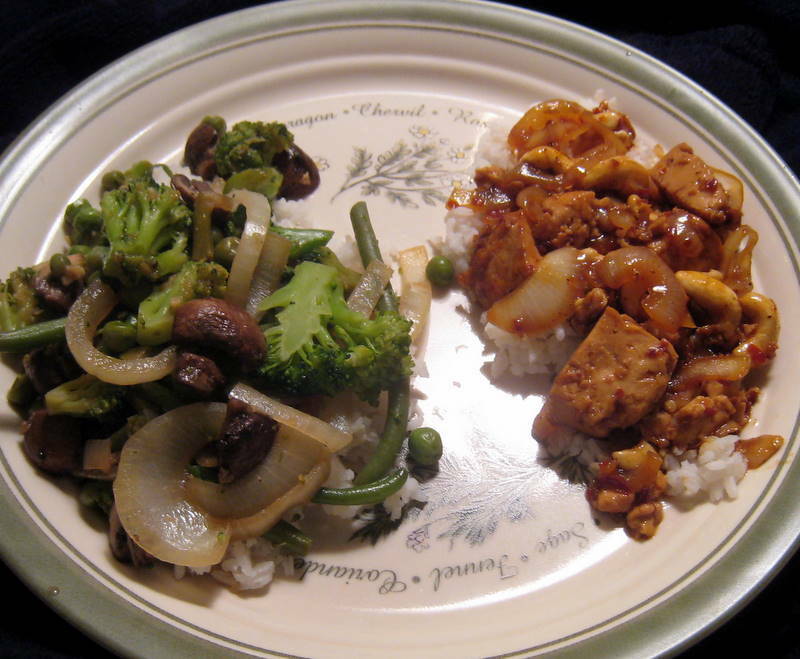 Prepare the tempeh: Dice 1 onion and saute in 1 tsp oil in a dutch oven or other pan with a cover. Add 1 faux chicken bullion cube and cook 2-3 minutes. Add diced tempeh and saute 2 more minutes on medium heat. Deglaze with cheap rum (Bacardi) or white wine when the pan becomes sticky. Cover and cook 10 minutes. Stir and flip tempeh pieces and cook another 15-20, stirring and flipping when needed. When the tempeh is crisp on the outside to your liking remove from heat and set aside. For the dressing: Blend together cashews and water, 2 TBL white vinegar, 1.5 TBL curry powder, 1/2 TBL cumin, 1 tsp cayenne, 1/2 tsp black pepper, 1/2 tsp garlic powder, 2 TBL dijon or German mustard. Chop 1 small apple (about 1 cup) and 1 cup of celery into small pieces. Mix together tempeh, apples and celery, and dressing, cover and refrigerate at least 4 hours. I made this in the early afternoon and we ate it for dinner, or you could make it the night before. 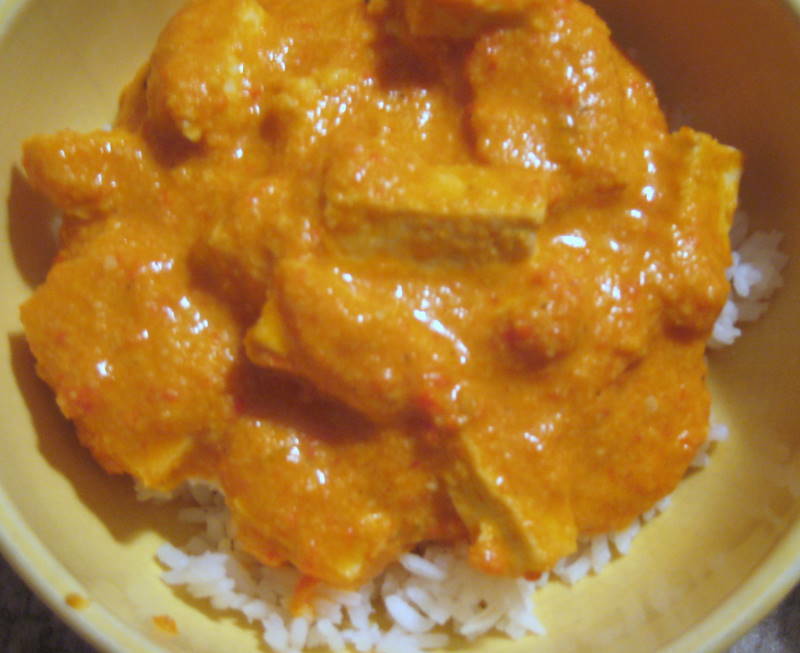 We saw a recipe for simla mirch paneer at Mirch Masala , which sounded creamy and spicy, and fun to veganize. 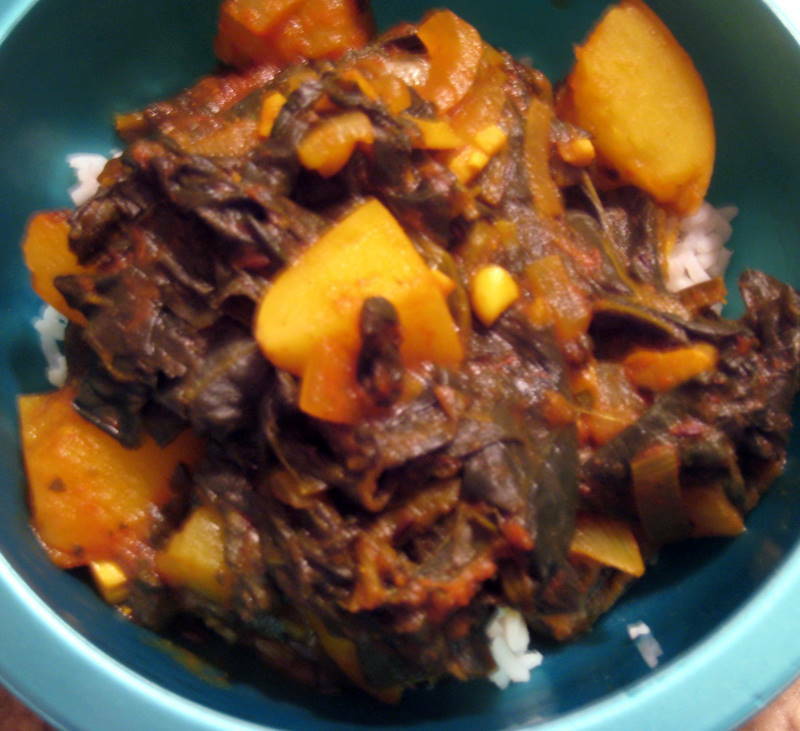 To balance the meal, we paired with the aloo palak, rice, and a crunchy salad. In a dutch oven, heat 1 tsp Earth Balance and add cumin seeds. When seeds begin to pop, add garlic, ginger, and onions. Cook 4-5 minutes until onions are soft. Add tomato paste and other spices. Add spinach and as much water as needed. Bring to a boil, then add potatoes and reduce to a simmer. Cover and cook 30 minutes. This simple soup is perfect for colds, fall days, and ginger lovers! In a stock pot, heat a little oil, then saute carrots, onions, celery until soft. Add garlic and cook 1-2 minutes until fragrant. Add sherry and cook until most of the liquid is absorbed. Add ginger and cook another 2 minutes. Stir in tomatoes, tomato sauce, veggie stock, and cashews. Bring to a boil, then reduce heat to simmer. Cook about 45 minutes, then add salt and pepper to taste. Blend with an immersion blender (or food processor). Allow the soup to simmer 5 more minutes before serving.